Another day, another Android tablet. This one's got an 11-inch screen, magnetically-attaching keyboard, kickstand coming out the back...wait, that seems familiar. 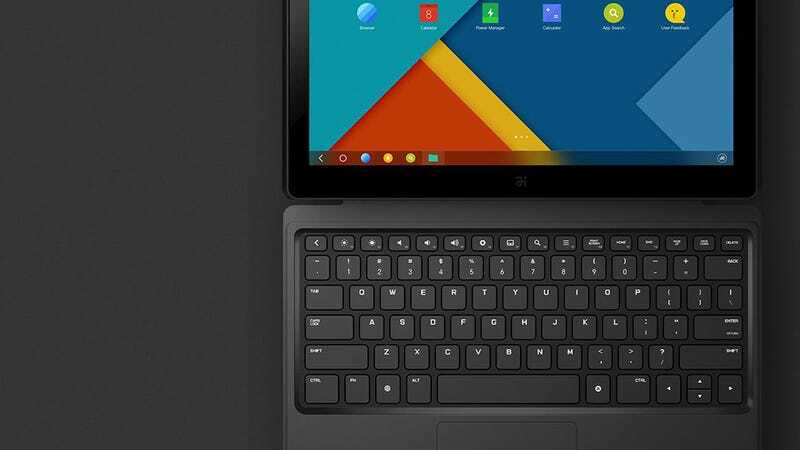 The Remix Ultra tablet is the brainchild of three ex-Googlers, and at first impression, seems to follow the timeless tech-product-ripoff formula to perfection. The hardware is a cheaper version of the Surface's popular form-factor: 11-inch tablet with a kickstand and magnetically-attaching keyboard. And, just like those knockoff iFones your auntie accidentally bought for all her nieces, the Remix is running a version of Android that looks an awful lot like Windows, complete with a navigation bar running along the bottom.